For more than one hundred years the Ahmadiyya Muslim community has been leading a peaceful revival of Islam. From the time it was founded in India in 1889 it has enjoyed an unrivalled record for peace and for its efforts to build cohesive societies. 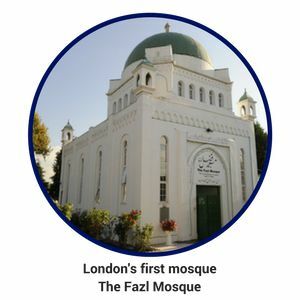 Established in the UK since 1913, we built London’s first mosque in 1926 (The London Mosque in Putney). We now have one hundred branches across Britain and have opened a number of mosques including the landmark Baitul Futuh mosque in south London, which is the largest in western Europe. 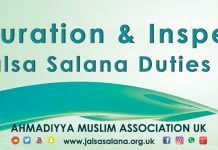 A community that stands for education, integration and interfaith peace we welcome all to visit our mosques as well as our numerous seminars and events that bring people together to understand more about each other. We are also committed to helping others, engaging local communities and working for the common good. On this we have a long history of raising millions of pounds for British Charities. 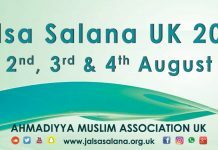 We believe that Islam, which was established over 1,400 years ago by the Prophet Muhammad (peace and blessings be upon him), is a universal religion of peace, with a simple but perfect message for mankind to develop and maintain a living relationship with a living God and to live in perfect harmony with all. 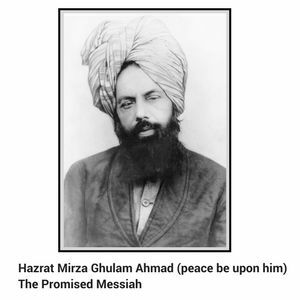 This message was revived by the founder of our community, Hazrat Mirza Ghulam Ahmad (peace be upon him) and we are the only community of Muslims to have accepted him as the Promised Messiah and Mahdi who was prophesied for this age. From the outset he repeatedly emphasised the need for us to be mindful of our duty to God and His creation and to reflect our commitment to peace in our daily lives. He rejected the concept of a violent jihad, reminded us of the equality of mankind and of our duty to care for the needy. He also underlined the need to respect all religions, to abide by the law of the land and to be loyal to the government of the country in which we live. 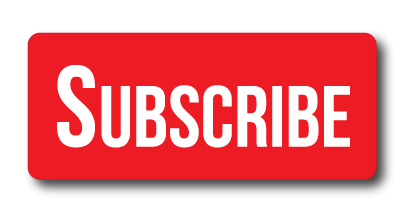 With this desire to promote peace this community has since flourished and is now a dynamic global movement established in more than 207 countries. 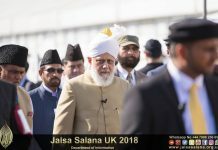 Since the founder’s demise in 1908 we have been led by a series of Caliphs or spiritual leaders, the present being His Holiness Hazrat Mirza Masroor Ahmad; this form of global leadership is another distinctive feature of this community. 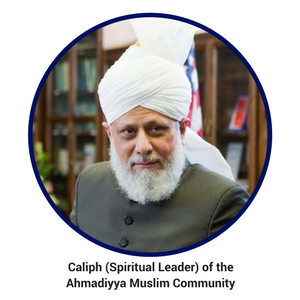 He continues to relay the message of peace to the corners of the earth, a message that has been reflected in action by the community through humanitarian efforts by men, women and the youth of the community. In fact the members of the community willingly give time and money for relief work even in the remote parts of the globe, to help those in need regardless of creed or colour. Our mosques remain open for all, to help breakdown barriers and build trust, integration and cohesion by enabling a better understanding of Islamic beliefs and their role in modern life. We organise regular peace symposiums and run a free to view satellite channel MTA International (available on Sky 787) dedicated to spreading harmony among and between all people regardless of faith and background, further underlining our openness as a community that promotes integration based on mutual respect. We are not funded by any country, government or organisation. It is our belief that to do good works requires us to make sacrifices of time and money and that is why the Ahmadiyya Muslim community is entirely self-funding. 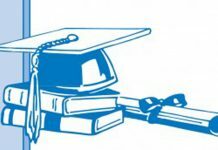 Members donate willingly to support the work of the community as well as a to a whole host of charitable and humanitarian activities that we carry out – almost all of which are run by volunteers. 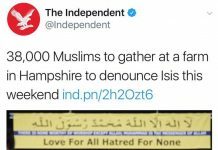 In essence “Love for All, Hatred for None” is the unique banner upheld by the Ahmadiyya Muslim Community and a message that we believe is the basis for lasting peace. 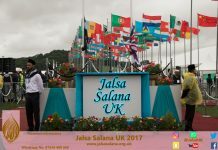 Simply, this site has been created by the Ahmadiyya Muslim Community, (UK) , to help create awareness about the values we share and would wish for all humanity. To help remove the common misconceptions of Islam, and help create peace and tolerance. of love and sincerity; and by allowing the truth to manifest itself …..
– Promised Messiah, Founder of the Ahmadiyya Muslim Community.